It's brewing up chocolatey dark ales and citrus-heavy pale ales alongside brisket burgers and beer-battered fish and chips. Many a bar, pub, club and watering hole line Fortitude Valley's streets; however, there's one thing that the suburb hasn't had until now. 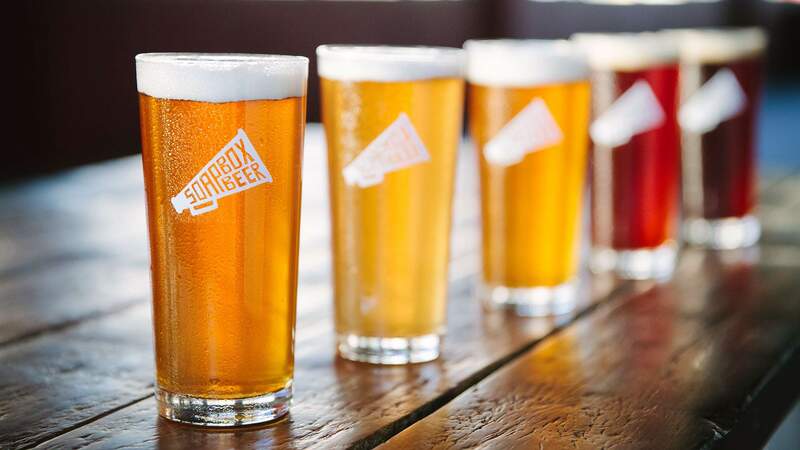 While craft breweries have been popping up nearby in Newstead, in the CBD under the Story Bridge and over the river at Kangaroo Point, the inner-city hotspot has remained quiet on the beer-making front — but that's where Soapbox Beer comes in. Taking over an old agricultural store on the corner of Gipps Street and Ranwell Lane, and open since December 2018, the newcomer both brews and serves up its hoppy beverages onsite. In a spacious venue filled with reclaimed timber and industrial fittings largely nabbed from demolition works, you'll find a 2000-litre steam brew system pumping out Soapbox's core brews, plus a 200-litre system for seasonal and smaller batch beers. Always pouring through the taps are five particular beverages: a malt and citrus-heavy pale ale, a chocolatey and bitter dark ale, an IPA with orange notes, a slightly sweet kolsch and an American-style amber ale. To help line the stomach, Soapbox also slings a menu of share plates, snacks, steaks and burgers, many of which include beer as an ingredient. Between pints, you can tuck into potato curry croquettes with a pale ale vindaloo sauce or a grilled wagyu beer steak with a porter onion gravy — or a brisket burger with beer-pickled daikon, the obligatory beer-battered fish and chips, and even beer fudge brownies with hops salted caramel sauce. 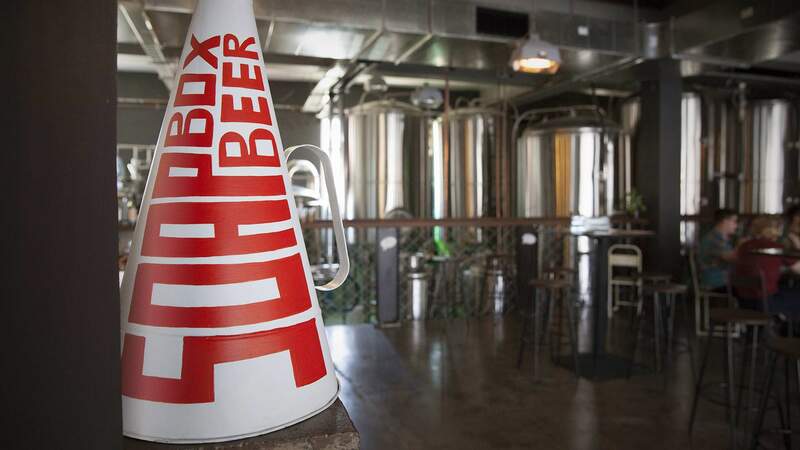 As for the folks responsible, Soapbox is the brainchild of craft beer aficionados Luke Nixon and Scott Robertson, who started home-brewing six years ago. They've now traded in their film industry and corporate jobs to jump from making tipples in their backyards to whipping up beverages in the centre of Brissie's nightlife scene, with help from Greg James as their new head brewer. Find Soapbox Beer at 89–101 Gipps Street, Fortitude Valley, open from 11am–midnight Wednesday–Sunday.